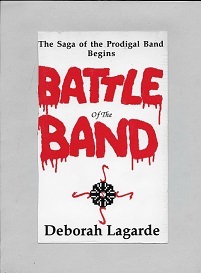 So as to be assured no snowflake celebrity who might get “offended” if they think I “insulted” them by saying my book character singer is better than they are, or if I implied some celebrity is a satanist or, even worse, a Christian…I removed ALL living celebrity names from this revised version. I can deal with snowflakes! What I can’t deal with are financial liabilities with those who are already filthy rich but just for the sake of vengeance they’ll try to “sue me for libel” anyway. Further, all existing media companies and brands were also removed. These companies did not exist when I wrote my two printed books, but now? There are thousands of media outfits, record labels, etc. So I had to change these brands as well. I also removed car and jet brands, store brands, and other famous brands–none of which I “denigrated” in any way, shape or form, but again, many of these companies are run by those who would love to take everything I own. I did keep several names of dead famous or historic people (Laurence Olivier, Shakespeare, William the Conqueror and a few others). I also referred to parts of several well-known literary cliche’s, without the reference, since well-known literary works from the past have been copyright-renewed. Some may think I “caved” to political correctness. Folks, I don’t “cave” to political correctness or to bogus “you hurt my feelings” crapola. But why should I give anyone any excuse to sue me for libel, especially when parts of this book are satirical? Fiction is fictional. Except of the fiction is based on a true story, there is no reason to use the names of famous people when it is obvious anyway that certain famous individuals are referred to, just not be name. As for brand names, the reader can use his or her imagination. for instance, I use the fictitious media brand name “BritishTV.” I am sure everyone is thinking “BBC” when I mention that fictitious media name, right? I did this for one reason and one reason only–so I won’t get sued for libel! I don’t have millions of dollars to settle such a suit! I should I set up some “GoFundMe” site? BTW, ALL smart fiction writers do this same thing! I am an obscure writer now, but who knows what could happen in the future? Only God knows. So I have to be smart. What replaced brands were generic names: car instead of car brand, guitar instead of guitar brand, etc. I also replaced some real names with similar names spelled differently, or name initials. Fortunately, some brand or place names do not exist so I could keep those names. All large city names were kept, and a few smaller city names as well. But some place names were changed so as not to “insult” the residents. And residents or affictionados could feel insulted! Because this free pdf e-book is riddled with satire! Folks, I strongly believe evil has overtaken this world, which is why I must do whatever I have to do to try to get folks to want to change this evil into good. If I have to remove names and things or even places, so be it. But the main focus on GOOD vs. EVIL and the Forces of Good vs. the forces of evil will never be removed! 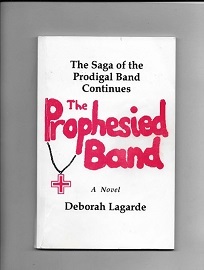 PS: The original The Prodigal Band Trilogy FREE PDF is no longer available. Further, the updated revised version will be submitted to the Library of Congress very shortly. Update: It has been registered with Library of Congress copyright.